Goose Creek is an east side Tallahassee neighborhood that is comprised of two sections, Goose Creek Fields and Goose Creek Meadows. 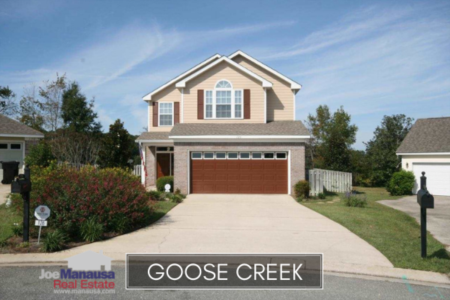 With less than 200 homes, Goose Creek is not large, but it does contain the newer homes that today's homebuyers are seeking. As you will see below in today's report, 2016 is already a "good year" for home sellers in Goose Creek, and apparently the remaining sellers are trying to raise the bar. 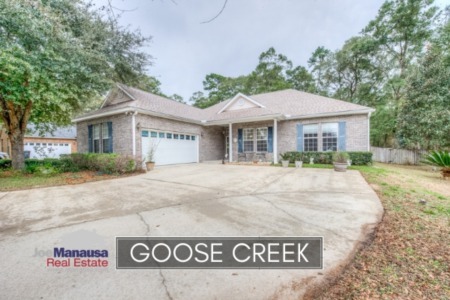 In this report, we will look at average home prices, average home values, and average home sizes in Goose Creek, as well as show current listings in the Tallahassee MLS and all closed home sales going back to 2002. It is important to note that the narrative contained below is for sales through December for all previous years, but through the second week of June in 2016. The graphs and the closed sales table will be continuously updated into the future (meaning bookmark this page if you always want to know the current status of homes in Goose Creek). Goose Creek home prices are up slightly when compared to the average recorded in 2015. The average recorded sales price is $225,444 for Goose Creek through the writing of this report, and average which is 18% lower than home prices in 2006 when the real estate market peaked. Home sales activity this year is on track to be the best going back ten years, but sales are still well below the levels recorded during the most active years from 2002 through 2006. With so many people buying during the peak of the market (Goose Creek is definitely a Boom Neighborhood), we have to be concerned with pent-up supply from homeowners waiting to enter the market when prices go higher. Thus far in 2016, there have already been 9 closed home sales in Goose Creek, one more than we saw for all of 2015. Goose Creek home values continue to rise, with this being the fourth consecutive year of appreciation (up 9% thus far in 2016 over average home values recorded in 2015). Through the second week in June, the average value of a home sold in Goose Creek has been $131 per square foot. This is up 31% over the bottom reached in 2012, and only down about 10% from the market high set back in 2006. The value gap from "the good 'ol days" to now has narrowed, and many homeowners are beginning to build equity in their homes. 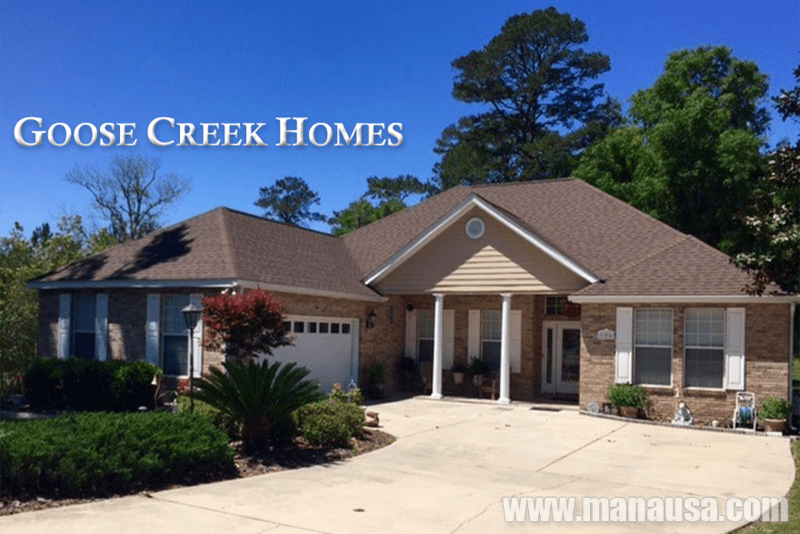 Currently, there are four homes for sale in Goose Creek. The fact that none are already under contract indicates sellers are ill-informed (most neighborhoods are reporting 40% of inventory under contract), or in fact are very confident that values are going even higher. Time will tell, just tune in to this page again to see what sells and what remains on the market (if any actually do). Goose Creek home sizes typically falls in a range of 1,600 to 2,000 square feet, and this year is no different. The nine homes sold thus far in 2016 have averaged 1,717 square feet. I hope you enjoyed our June 2016 update on home sales in Goose Creek, please feel free to drop me a note if you have questions not covered in this report.